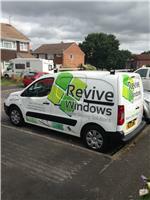 Revive Window Solutions - Windows/Doors/Conservatories based in West End, Hampshire. Invoice history based on 201 reviews. Welcome to Revive window solutions. I'm Mark and I started the company five years ago. I have 23 years experience in double glazing and surrounding trades. I offer free estimates for All double glazing repairs and replacements, including Windows, Doors, Conservatories, Bifold doors, Misted units, Handles and Hinges, Adjustments, Seals and Gaskets. I am based in Southampton and work within a radius of 20-30 miles, Travelling to Christchurch one way and Fareham the other way. I offer the best advice to save the customer money and my service will always be with a smile.